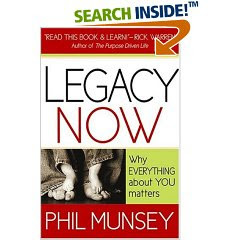 I quoted Phil Munsey during our bible study last night. Munsey pastors Life Church, a charismatic congregation down the street from Rick Warren's struggling little church in California. I don't agree with everything in this book but I was challenged and fascinated by it. I believe that it deserves a wide reading and hope others will give it a chance. Living the Life: It's Not and It Is About You! We are beginning a new bible study series that focuses on the one life we are given to live. There are a number of very popular books in print now that aim at helping us live these lives. Sometimes the messages seem a little conflicted. How do we make sense of all this and really live the life? Join us as see what scripture has to say about it. Why Should FBCM Partner with the Mississippi Baptist Convention and other Christians to build a family a home on the MS Gulf Coast? 1. We can bless a family for generations to come. The family that we are to be partnered with are young. The couple is in their thirties with two children under seven. They are hard workers and could use a break. The Gulf Coast Baptist Association has selected them to get a home. The investment we make in this family could really make a difference for a long time. 2. We have have been blessed to be a blessing. Faithful members of FBC Meridian have given so that the church in this generation can be the Presence of Christ in our world. We have a holy trust to keep. We have mission resources that need to be invested in Kingdom concerns. God has given us strength. We should give him glory. 3. Rebuilding the Gulf Coast is now in the hands of Mississippians. Baptist groups and other organizations like Samaritan's Purse have left the coast. We are the ones left to do the ministry in the name of Christ. Part of our church's mission strategy is to invest in places that are under-served. That would now describe Mississippi. 4. There is a biblical precident for helping other Christians following natural calamity. This was a major project for the apostle Paul. He was an engine of evangelism in the NT and was also concerned with meeting practical human needs. We can follow his example. 5. Short term mission teams contribute to fellowship and discipleship. People often have life changing experiences working on short-term mission teams. A person's relationships with Christ and Christians are strengthened through the experience. 6. The Great Commandment serves the Great Commission. Serving in the name of Jesus opens doors for the gospel. People have already given thier lives to Jesus because of the home building ministry on the coast. Check out Gene Williamson's testimony on this blog. 6 and 1/3. This will be fun! These are just a few of my scribbles. There are other reasons to participate in this ministry. Can you think of others? We are going to Bay St. Louis today to finish planning a home build. This will be an ambitious project for our church and we need much prayer and support. Look for an upcoming post that explores the biblical and practical justification for this type of missional engagement. Pray for traveling mercies (I love that old prayer meeting phrase)!